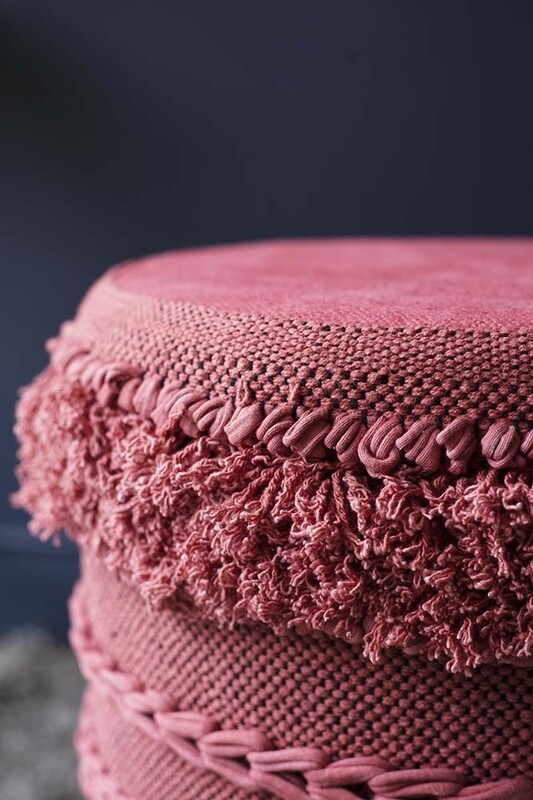 Add tactile texture to your home interiors! A one-of-a-kind statement stool that will turn heads and demand the eye the Large Tassel Drum-Style Stool is down right fabulous! 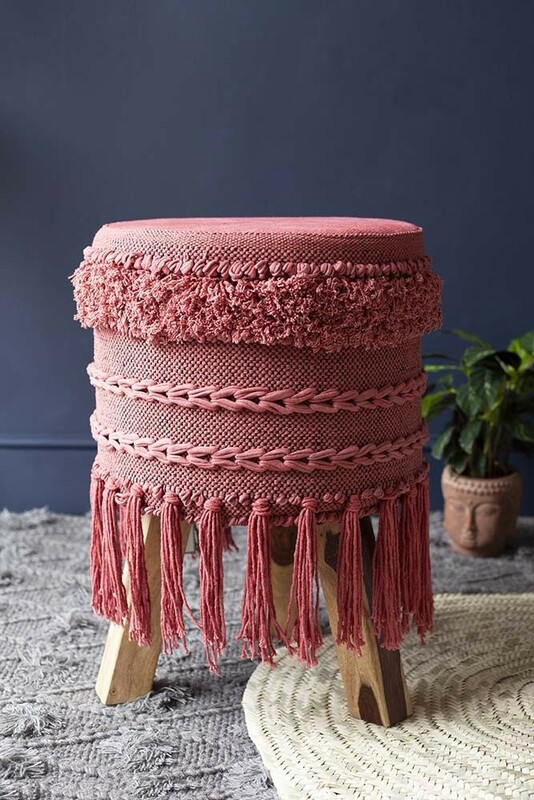 Available in a Mustard or Raspberry Colour the Large Tassel Drum-Style Stool was created with comfort and style in mind. Featuring a woven detailing with pleats, geometric patterns and tasteful tassels, we think that the Large Tassel Drum-Style Stool would look amazing in your living room, bedrooms, offices and kitchens!